The University values its landscaping and trees both for the quality of life they provide to the campus community and for their importance in the local ecosystem. 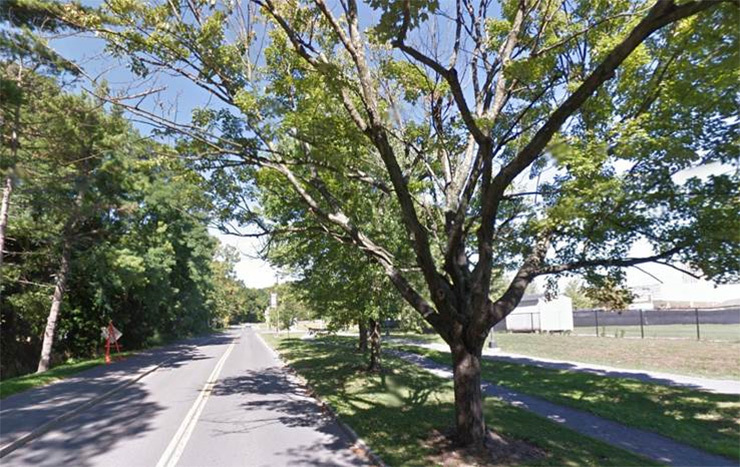 Unfortunately, over the last 5 years, trees along University Drive south have been in decline with significant loss of foliage and dying branches. In their current state, they create a potential safety issue and diminish the attractiveness of the campus. 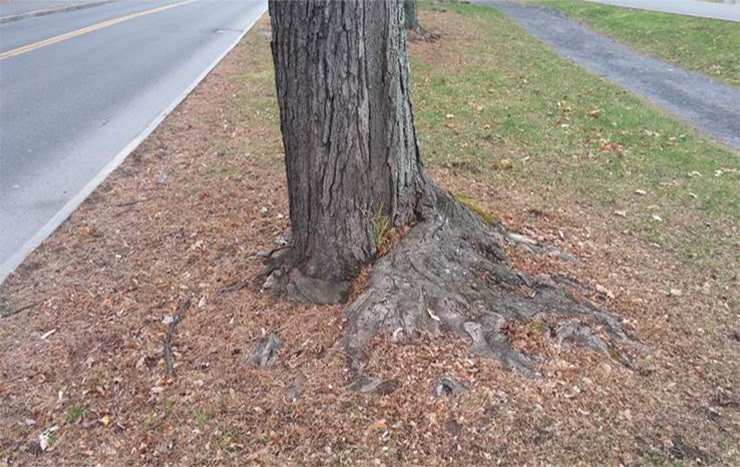 The trees were evaluated in the field by professional arborists; and it was determined that several factors have contributed to this decline including root girdling, road related injury, tree selection, age, and weather. 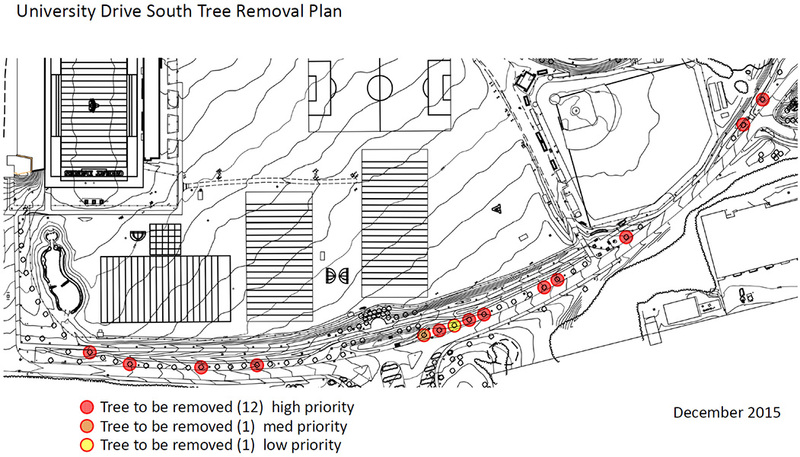 Accordingly, a restoration plan has been developed to replace the neediest trees with compatible species and re-evaluate the remaining trees along University Drive for potential future replacement. Tree selection made by the University’s Landscape Architect will provide a diverse selection of trees and placement in newly graded beds to avoid girdling. 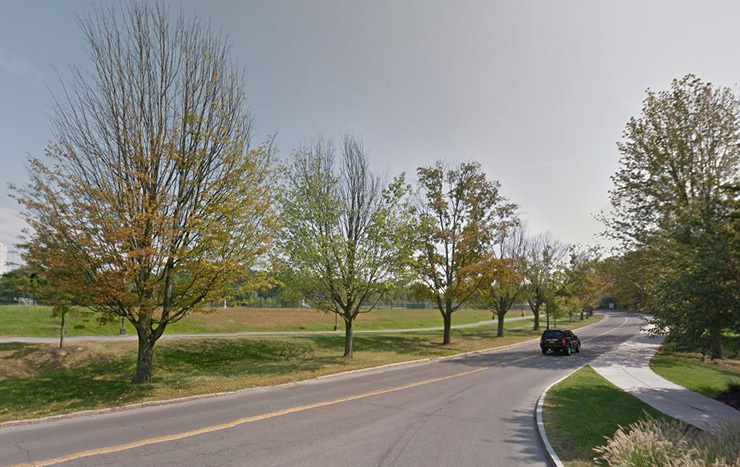 The scope area of this project includes the street tree plantings along University Drive from the south side of Liberty Terrace to the entrance drive to SEFCU Arena parking lot. The scope of the current phase of this project identifies the highest priority trees that are in decline with dead, dying, and broken branches, girdling root conditions, and are a potential safety concern during inclement weather conditions. The trees identified will be cut and removed with the stumps ground below the existing surface. The removed trees will be turned into mulch and used locally for landscaping. New trees will be ordered and installed in spring 2016 when planting conditions and tree availability are best. The remaining trees will be re-evaluated as the growing season progresses which will help determine next steps. For comments or questions please contact Bill Dosch, Physical Plant Director at bdosch@albany.edu or Nancy Dame at ndame@albany.edu 442-3400.